Below are links to home safety related checklists to keep you and your family safe. Does the Spalding County Fire Department offer blood pressure checks? Yes, all of the 7 county fire stations offer blood pressure checks. The open burning/controlled burn ban is under the Georgia Department of Natural Resources. This ban is in effect from May 1st through September 30th. There are flyers attached under the Forms Tab that lists the specifics of the burn ban. How do I schedule a tour or visit to a fire station? A form is available under the Forms tab that you will need to use to submit a request for a tour and/or a visit to a fire station. 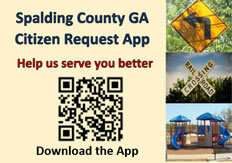 The request should be submitted to the Fire Department, if you have any questions please contact us at (770)228-2129. How can I receive a free smoke detector? The Spalding County Fire Department offers a Free Smoke Detector program. For details please call (770) 228-2129. The Spalding County Fire Department does not fill swimming pools. Does the Fire Department have volunteer firefighters? Yes, the Spalding County Fire Department has a volunteer firefighter program. 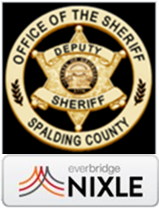 Applications are available at the Spalding County fire Department Headquarters station located at 600 Carver Road, Griffin, Georgia.